There is potentially no limit to the amount of customization that an Android phone can bring. However, there are certain features that have become a bit harder to reach, such as the ability to add custom ringtones and notification sounds. However, there is always a way around when it comes to Android, and that is exactly what we have to offer. 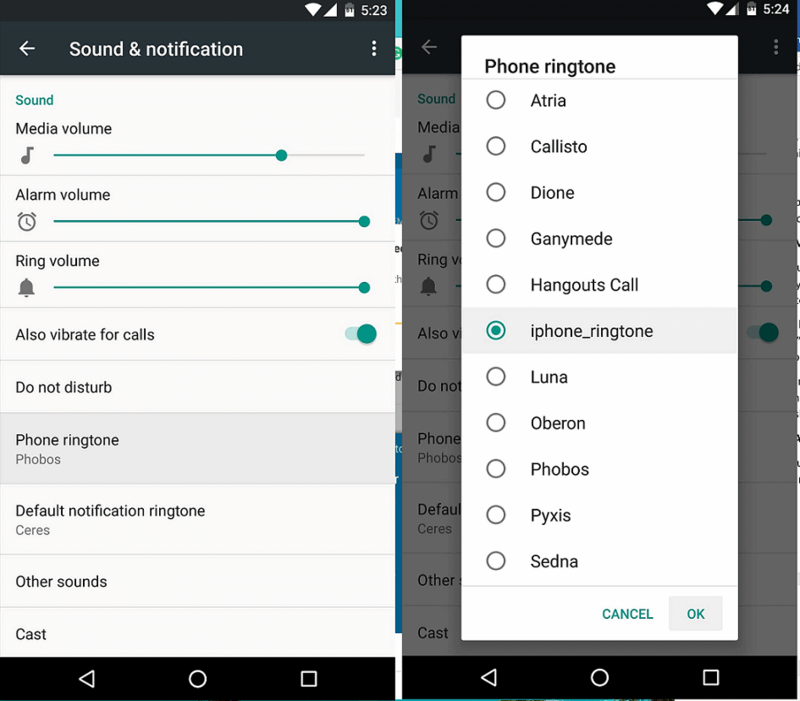 Simply follow this easy guide on how to add custom ringtones and notification sounds on Android. You need to have the audio files on your device to set them as ringtone, hence this is a no-brainer. You can simply transfer the audio files to the main directory of your Android device to get started. Moreover, to specifically download ringtones and notification sounds, there are plenty of places to get them online. Simply head over to the Reddit Ringtones forum or a service such as Zedge and download the tunes that you have been looking for. To add custom ringtones on your Android, you need to edit the directory of your Android device. 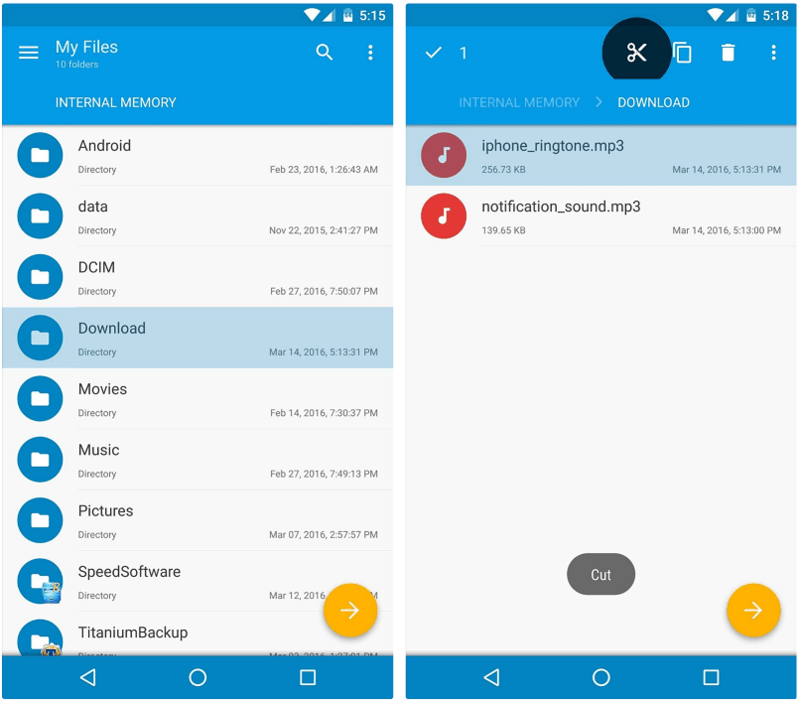 There are plenty of Android file managers that you can find on the Google Play Store to get this done. 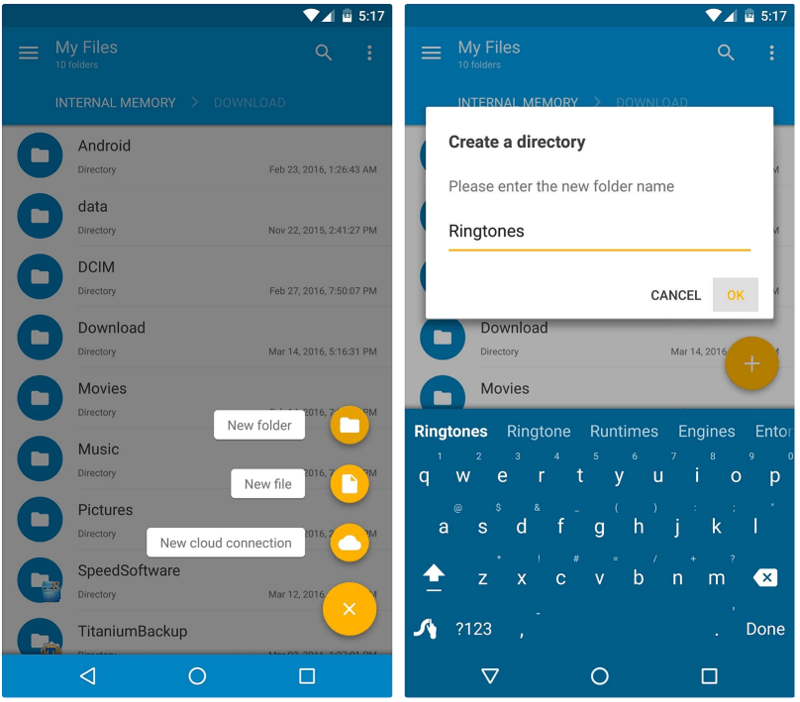 For the purpose of this tutorial, we have used Solid Explorer File Manager, which is available for free on the Google Play Store. Once you have downloaded the file manager app on your Android, head over to the main directory and then look for the “Download” folder. Unless you have manually transferred the ringtones to the device, you will find your downloaded tunes right here. Tap and hold on one audio file, select all the other audio files in the folder and then press the “cut” or “copy” icon on the top bar of the screen. You can now head out of the “Download” folder and look up a folder named “Ringtones” or “Notifications”. If you can’t find either of these folders in the main directory, feel free to create new ones and name them. Once you have found or created the folders, open them and paste the previously copied music files there. Once you have copied the audio files to the correct folders, exit the app and head over to the Settings on your Android. In the Settings app, head over to “Sound & notification” and tap on “Phone ringtone” to change it. You can do that same for notifications by tapping on the “Default notification ringtone” menu. You will be able to see the name of your downloaded ringtone in the list of sounds, so simply tap on it to hear it. Simply press OK at the bottom of the pop-up window to confirm your choice and change the ringtone.